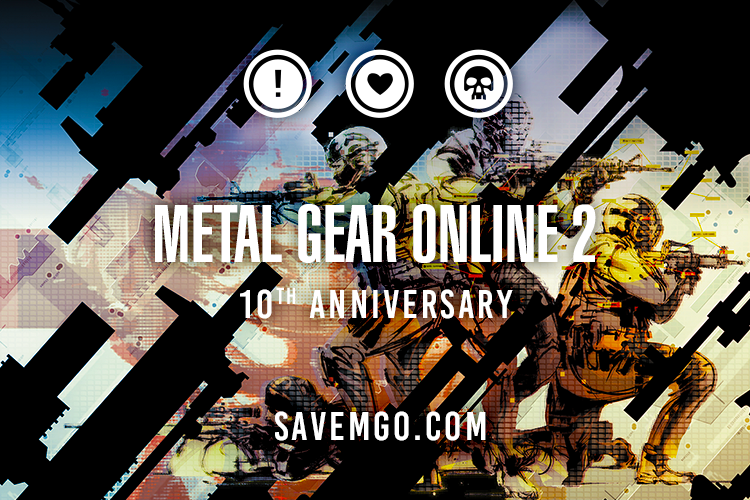 Metal Gear Online 2 was released 10 years ago on June 12th, 2008. It was eventually shut down 4 years later on June 12th, 2012. Our multiplayer server finally went live on July 11th, 2014. We're coming up on 4 years... the same time the official servers were up for. Here's to keeping the game around even longer! It doesn't take too long to get set up to play again. Voices have been changed somehow... log in to find out! Let's get as many people playing this week as we can! A small tournament may happen during the week. Let us know if you'd be interested. Let us know if you'll be streaming, and we can add you here! It's been a long journey to get this game playable again. Thanks for playing. More will come to MGO in the near future. Wish I could have more ready for this day (like custom maps), but we will see this content another day. I’ll be streaming whole week! I'll most likely be streaming. "People. Enjoy the game. Get drunk or wasted but enjoy the game."